This can be used for Baked Ziti, Spaghetti, or other Italian dishes. Brown meat in a medium saucepan. Drain any oil. Add the rest of the ingredients and cook on low for as long as you like. 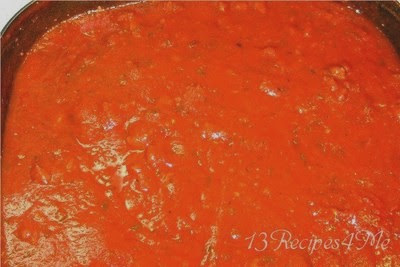 I simmer for a couple of hours, but you can use it right away if desired.